The Astronomy Picture of the Day yesterday, a special April Fool's Day photo, was especially good, I thought, for obvious reasons. Some new releases: For $5 you can buy a download of the CPZ trio. That's Chris Cawthray on drums, Ed Zankowski on tenor sax and yours truly on guitar. Click here. David Grollman and I are featured on both DVD volumes of last year's Boise Experimental Music Festival. David is even on the cover of the Volume 1! Click here. 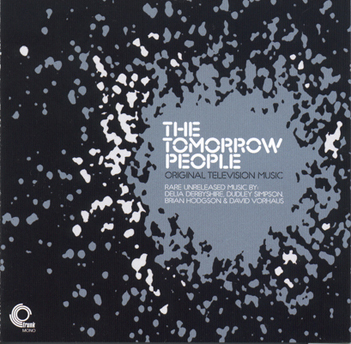 The second Soundtrack of the Week is The Tomorrow People by Delia Derbyshire, Brian Hodgson, David Vorhaus and Dudley Simpson. They all worked for the BBC's Radiophonic Workshop and most of the material on this release (limited-edition CD or LP) comes from a library of electronic music they created. The Tomorrow People was a British sci-fi TV show from the '70s. I had never heard of it. A lot of the music is weird electronic sounds, but the Tomorrow People theme is quite catchy. Can you resist a record with tune names like "Attack of the Alien Minds" and "Gothic Submarines"? I got the CD at an East Village record shop a little while ago and have listened to it more than a dozen times.